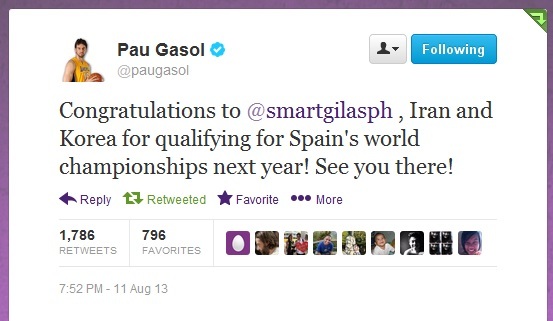 This entry was posted on Sunday, August 11th, 2013 at 8:15 pm	and tagged with pau gasol gilas pilipinas, pau gasol philippine team, pau gasol philippines, pau gasol smart gilas and posted in hodgepodge, philippines, sports. You can follow any responses to this entry through the RSS 2.0 feed. Reblogged this on From the Tube.